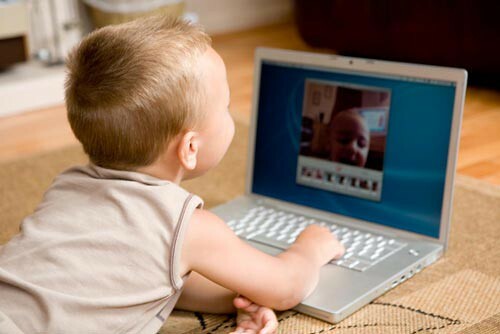 I picked this image because it jumped out at me right away – children are exposed to new media at such a young age. As educators, we need to teach children to use the tools they are exposed to at home in school. When I was entering school my family had an old computer that gathered dust in our kitchen. Now, I depend on my computer everyday and want to weave digital literacy into my classroom. My name is Alison and I am teaching grade 1/2 in West Vancouver this year. This is my first met course along with ETEC 511. I am both excited and nervous about starting the program. I was drawn to this course as I really want to learn about the fluidity of spaces for reading and writing and how to incorparate them into my classroom. Last year I taught grade 5 and found it easy to incorporate blogs, wikis and discussion boards. I want to learn how to bring technology into the early primary classroom. I look forward to working with you all. I teach grade one as well and pretty much have the same question as you! Perhaps we can collaborate with some ideas?!? Welcome to the program! I am so glad you are teaching grade 1 and can’t wait to collaborate with you! I often feel that things are geared towards intermediate and secondary students but am eager to incorporate technology with the little ones. Ryan Edgar! It sure is..what a small world. How are you little ones? Where are you teaching? Looking forward to working with you and catching up. Nice picture Alison. I teach Grade One as well. Look forward to working with you. Like you, I’m both nervous and excite about starting the MET program! As a parent of an eight year old I’m always interested in learning how to more constructively structure my boy’s time with the computer. I’m also working up some guidelines for teachers at my son’s primary school, so I will be keen to follow the insights of the primary educators here in ETEC 540.